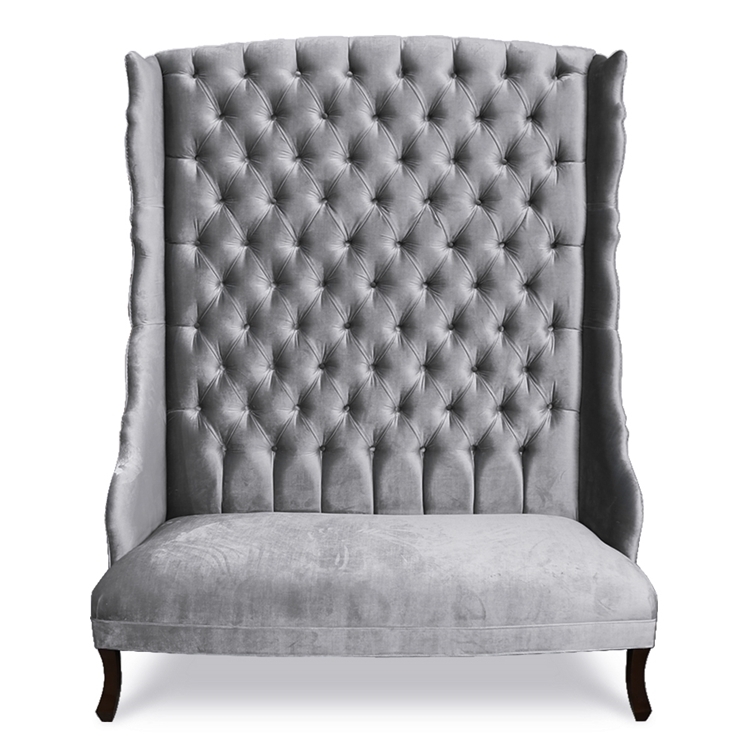 W 60" | D 34" | H 78"
SEAT W 54" | SEAT D 24" | SEAT H 18"
SHIMMER "SLATE" VELVET WITH MATTE SILVER TACKS AND BLACK LEGS. Item sold as shown online and comes with standard foam filled seat cushion. Boxed weight is approximately 275 lbs. Email info@hautehousehome.com or call 323.256.2800 for custom options.